The Wing Lift™ is a patented, cost-effective Container Carrier handling concept for lifting and moving containers short distances. 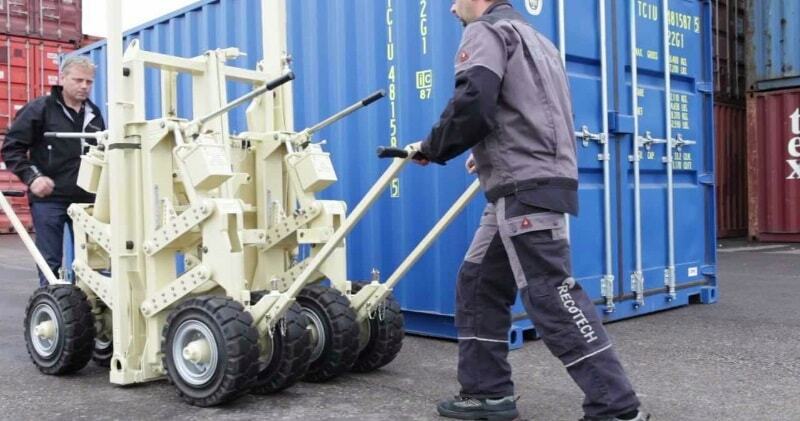 It offers extreme manoeuvrability in any directions when moving heavy containers without the aid of cranes or trucks. It is the perfect choice for transporting on and off air cargo containers or equipment with easy handling. Designed to work with ISO corners, The Wing Lift™ works with almost any cargo container or equipment fitted with ISO corners enable which the Wing Lift™ attaches easily to.